"I’m Down" was recorded at the same session as "I’ve Just Seen A Face" and "Yesterday". Three completely different genres. Three examples of the genius of Paul. This was a day on which Paul’s versatility was displayed with astonishing prowess. Given that “I’m Down was the second song recorded that day, maybe I’m still amazed that, with only a 90 minute break for scrambled eggs and a cigarette, he was ready to tackle something as subtle and beautiful as Yesterday. I’m Down is frantic and violent and the perfect Bside to John’s Help. Unlike Help!, however, I’m Down was clearly more joking than earnest, with lines such as "Man buys ring, woman throws it away/Same old thing happens everyday", and "We’re all alone and there’s nobody else/You still moan, ‘Keep your hands to yourself!’"
On the bootlegs of the entire June 14th session McCartney can be heard repeating the phrase "Plastic soul, man, plastic soul". He later revealed that the phrase, which the Beatles later adapted for the title of their album Rubber Soul, was used by black musicians to describe Mick Jagger. The backing vocals sound more like the Stones (circa "Between The Buttons" or earlier) than the Beatles. Every time Paul sings the title phrase, someone (John?) doubles him on the second word in a sustained mock baritone voice, while two other singers (one of which is definitely George and the other might even be Paul overdubbed) provide a mockingbird like commentary in response ("I’m really down" / "down on the ground"). The brutal blues ukulele version is performed by Southside Johnny and The Poor Fools. The tempo is slowed way down. The guitar and uke sound like they are rising from some polluted Jersey swamp. But it is the voice that is coming from the deepest place of all. He’s Down – really down, but I get the feeling he’s been there before and somewhere he knows this will pass into the night. You have to have lived several lives to get to sing like that. 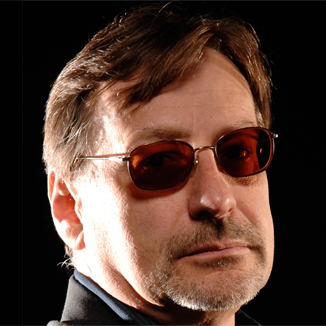 Southside Johnny Lyon is the founder and lead singer of the legendary New Jersey band "Southside Johnny and the Asbury Jukes". While the Asbury Jukes are known for their powerful and often epic stage shows, Lyon has recorded over fifteen studio albums–with material written by Bruce Springsteen, Steven Van Zandt, Tom Waites, Issac Hayes, himself and others–each delivered in his own inimitable style. Southside’s latest album is "Pills & Ammo" (Leroy Records). Often found fronting a band with a full rhythm section, background singers and five horns, Southside has appropriately chosen an "I’m Down-sized" offering from his side-project band "The Poor Fools" for The Beatles Complete On Ukulele.